Stampin’ Up! Inspiration Saturday…and there’s a giveaway! "Hi there crafty friends! I’m so excited to be dropping by from Australia to share some new products and ideas with you on Stampin’ Up! Saturday. Fans of Stampin’ Up! will know that we recently launched our 2016-17 Annual Catalogue and at the very top of my wish list was the adorable Foxy Friends stamp set and coordinating Fox Builder Punch. You’ll notice that although the product suite is centred around foxes, there are loads of other forest friends you can create too. Immediately I thought of all the fun things I could use these products for when creating party décor. It’s perfect for baby showers and birthdays. It’s so on-trend, even tweens and teens will love it too. I first set about creating some party favours. The first loot bag was a cinch to create. I simply cut a piece of the A Little Foxy Designer Series Paper Stack (DSP) to fit my Gusseted Cellophane Bag. I scored the DSP to create a base and pushed it into the cellophane bag. I filled it with popcorn, folded down the top, added a banner, a cute raccoon and secured it all with a Gold Binder Clip. Next I created a similar bag using a Glassine Gift Bag. I scored the sides and base to convert it into a sack and then inserted a piece of DSP. The glassine bag softens the DSP but still allows the design to be seen. I stamped, punched and assembled a fox and mounted him onto a DSP banner. Now the next favour sample is as easy as they come. The new Clear Tiny Treat Boxes are the cutest and are made from acetate so you can see straight through. I simply added some DSP, filled it and tied with Smoky Slate 1/8” Stitched Ribbon. Tip: Give your ribbon some more party pizzazz by making it into korker ribbon. Wind it around some dowel, secure with pegs and bake in a cool oven for 20-30 minutes. Remove from the oven and let cool on the dowel. Remove pegs and you have some fun, spring-y ribbon. Ribbons made from man-made fibres work best. OK, now if these aren’t the cutest party favours, I don’t know what are! Adorable tipi’s made from Pyramid Pals Thinlits. I used the A Little Foxy DSP Stack to make these and the paper designs work so well with this theme. Before assembling, I snipped the top off the pyramid and stuck in some small wooden toothpicks. I did add a piece of cardstock to enable me to create some flaps. You could add a little critter if it takes your fancy. Now let’s move on to something equally as fun… cupcake picks. Yes – there must be cupcakes, right? I used the Fox Builder Punch to create each of these little fox picks. Just punch out in your desired colours and assemble. Easy! You can leave them as is or add some extra little details such as a little hair bow or kerchief tails. You can see I also created a pastel pink one, perfect for a sweet birthday party or baby shower. The tree is simply a stamp from the Foxy Friends stamp set and the banners were so easy – just cut straight from the DSP stack. Last, but certainly not least, don’t forget that you’ll need invitations for your party as well as cards to give. I’ve used Note Cards & Envelopes packs for these samples as they make it so easy to create and go. Here’s a sweet invite example using soft pastels and another adorable little critter. Make sure you do a little envelope decoration too! In case you thought I was done showing off new critters, how gorgeous is this kitty? I’ve paired her with her birthday number and mounted it on a sheet from the A Little Foxy DSP Stack. Tip: To make your Foxy Friends extra adorable, give them a pink nose. Cuteness overload! My final project is a simple card that shows off some other products that can help with your forest and/or party theme. 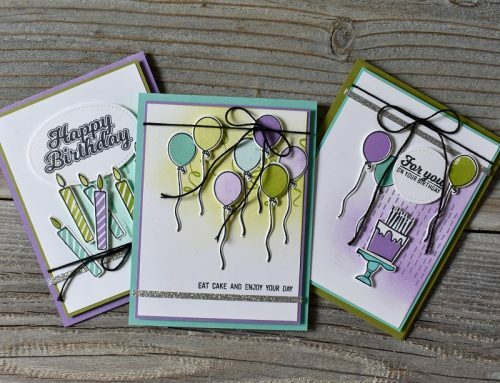 The Woodland Textured Impressions Embossing Folder makes an awesome background and the Balloon Builders stamp set and Balloon Bouquet punch turn a plain card into a birthday card. I do hope you feel inspired to create your own party favours, cards and décor. Thanks for having me!" If you would like an opportunity to win this prize, be sure to leave a comment below! Please leave your comment by July 30th! Good luck! Congratulations Katherine! 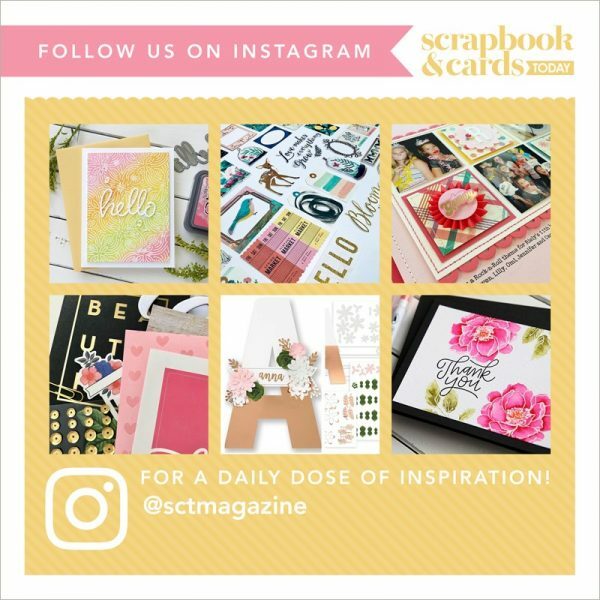 Please send us your mailing address at catherine@scrapbookandcards.com and we'll send it off to Stampin' Up! Please put "Stampin' Up! Winner" in your reference line and include your telephone number. Thank you again for joining us for our monthly infusion of Stampin' Up! goodness! Have a wonderful rest of your weekend! Love to win this. They are beautiful little animal. oh my–how cute are those critters??! This is such a wonderful prize—I would love to win this. My daughter would have a kick out of this, as would I! thank you SCT, and SU!, for an amazing opportunity! 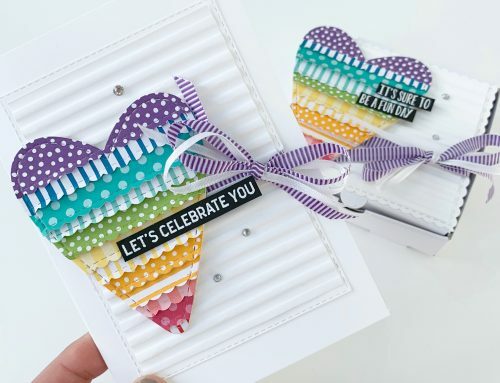 This is my absolute favourite set in the new Stampin’ Up! catalogue! It is adorable! I love that you can make little raccoons from the set too. Thank you so much for the opportunity to win this! Foxy Friends is too cute!! Love all the party ideas!! Totally adorable treat bags!!! Love those pyramid tents. This looks like such a fun set. Definitely on my wish list. Thanks for the inspiration. Ooh, so cute! Thanks for showing so many ways to use these products! Not only do I love these little creature cuties, but the way you showcased them is adorable!! Thanks for inspiring me to think outside the box!! This is such an adorable set! Love all your projects and such variety! Thank you for sharing! Such cute ideas. Thanks for the giveaway! What a fabulous set! Such fun project ideas! Thanks for the opportunity to win! I hadn’t paid much attention to this set since I couldn’t really figure out what to do with it other than make a few animals for cards but these projects are adorable! I love all your samples. The little critters are so adorable and the stamping gives such depth. Thanks for the chance. Love all your samples here. I didn’t think this was a set I needed to have, but after seeing the alternatives to the fox, I am falling in love 🙂 Especially LOVE the pink fox and the reindeer. So creative! Love this set! So fun. Thanks for a chance to win. Oh my goodness…how adorable is this set!! The inspiration is just amazing…I especially love how the fox turned into a reindeer and even more adorable….a little kitty! Fabulous!!! Oh my–how cute! I like how many different critters you can make. Love these critters and their versatility for so many projects! Love that new Fox friends bundle – stamps and punch. So many options. I didn’t know a fox could be so cute. Love the tree stump. Your designs are over-the-top amazing! I LOVE punch art and SU. I have such a passion for animals and your critters are just adorable. Would LOVE to win these. 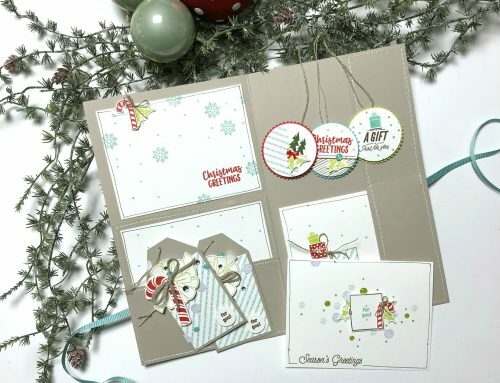 Love, love, love all of the projects using this adorable Stampin’ Up set. Thank you for the inspiration and chance to win. I love, love, love this fox!! He is on my wish list! I am sooooooo in LOVE with that set !!! I love how you can use it in so many ways !! ??? Foxy baby head my way please!LOVE these cute little critters and I would love to make a bunch of finger puppets using them to do a puppet show with my 4 year old granddaughter!! Thanks Stampin’ Up! and SCT for the chance to!! Such a versatile set; fox, raccoon, cat! Love it! Wow those are some awesome projects that I really want to try, thanks to Jessica for all her hard work providing so much inspiration! And what a generous giveaway, crossing all fingers and toes :)!!!!!! The fox and kitty are adorable! Omgosh, I love this stamp & die set! What a wonderful variety of projects. Thanks for the inspiration. What adorable projects made with this set. I just adore foxes and these are so adorable. Just love the cupcake picks. Would love to make these for birthdays as well as the bags for treats. Beautiful set. Thank you SCT and Stampin up for a chance to win. This is very cute. I would love to win this. to make more depth for the characters. This has to be my favourite stamp set and punch available in the new Stampin Up catalogue! So many great ideas and possibities!!! Jessica Williams, you did an awesome job showcasing this set!! Brilliant, just brilliant! These would look great on a camping page layout. Wonderful party ideas as usual. I have a teen who is cray-cray-crazy for foxes! Actually, she loves all critters. This give away would make a great surprise gift for her. Ok – these little guys just make me smile!! Love all the ways you have used them. Just too cute!! Thanks f or the chance! Hope I can win this set so I can make a skunk! These are just darling foxes! The DT projects look amazing! What a fabulous and adorable collection this is. So many cute possibilities. Love all your party projects and love how simple it is to do. Thanks for the inspiration and the chance to win. These critters are adorable I love what you have done with them. I especially like the skunk. I would love to play with the foxy friends. Thank you for the opportunity. I have been buying SU products since 2002 and always look forward to their new products! Yes, yes I would like to be a winner! Thanks for the chance! Cute little critters. Stamps will be great to use on pages for those summer campout photos. Happy Summer Holidays. Be Safe and Have Fun!! too cute!!! would love a chance to win it and play!! These critters are so cute. I love these. SO CUTE!!!! Great ideas!! 🙂 Love the tipis! Would love to win this set! Thank you for the opportunity! 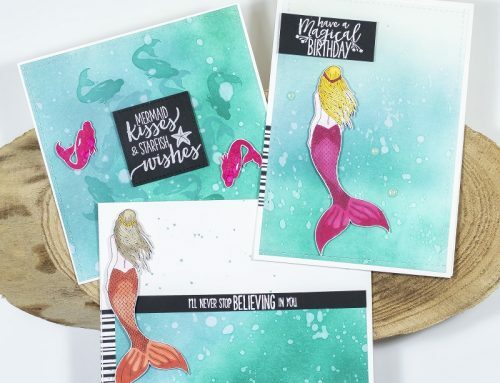 Stampin’ Up always comes out with Awesome new products! Love the versatility of this set! Would love to win it just to think up examples to use in a new program we are starting at the library! Love these little critters! What cute projects for a summer party! Our neighborhood is suffering raccoon woes right now and I know the gang would find party decorations with raccoons on them very appropriate! These little animals are so adorable! Love the coordinating punch! Thanks for the chance to win! Very clever how you can make different animals with this set. Thanks for the opportunity to win. Great inspiration and a wonderful prize. Thanks! This set is so very cute. I wasn’t too familiar with Stamping-up before this – I am sure interested in them now! I would love to win these. Would love to win this set! It’s on my wish list. Adorable – I am in love with this set and the cute projects! Love the little tepees! Thank you! Great projects! I’ve been seeing more and more cute stuff from this set. Thanks for the chance! Super fun projects Jessica! I love the variety. They are so darn cute! It’s truly amazing to see all the variety of projects that can be done with this set! That build a fox stamp and punch set is super cute! I love all the creations you made with them. The little tents are adorable. The more I see The Foxy Friends collections …the more I know that I am going to have to get this set. So cute and versatile! It would be so much fun to build a fox using that punch! Love all these projects! These foxes are just so adorable!! Love all the possibilities! These critters are soooo cute! These are adorable! I love the card ideas. Thank you for the inspiration. I have been admiring the projects people have been making with the Stampin Up Foxy Friends set! I would be over the moon if I won this adorable set from Scrapbook and Cards Today!!!! Thanks for the chance to win awesome blog candy. You rock! Oh my goodness that raccoon is the cutest ever. Love all the examples!!! What a foxy stamp set and punch! You can do so many different things with it! Very smart! I absolutely love this Stampin’ Up! bundle. Thank you for the inspiration and endless ideas and the opportunity to win this bundle! These are too cute. I do not own any stamping up products but would love to try this out. It looks like a wonderful prize. Thank you for sharing all of the amazing projects too. Lovely cards and party decor! Thanks for the inspiration! This is adorable! A little critter to add to cards and pages thank you for the chance to win !! OH MY! Look at those cuteness! LOVE THEM! This party ensemble is just too cute! Amazing creativity shown Jessica!! Thanks for sharing all these ideas. Oh, I’ve had my eye on this most darling collection since I got my new SU! catalog!!! It’s SO cute!!! I would love to create my own little forest of fun and frolicking with it!!! FUN ALL DAY!!! These party projects are soooo adorable! Love them all! Love the birthday card with Foxy and his balloon. Great job. Thanks for sharing. These are so gorgeous. To be honest this wasn’t on my radar but … it is now. Thanks for showing such a fabulous array of projects and highlighting how versatile this set is. I love this set! So versatile! I love these! Great ideas and great products! Stunning projects and very versatile stamp and punch set. I love having matching paper available too. How cute. I’ve been loving all of tge adorable ideas using this new set and your projects convinced me I need ut! Your clever mixing up the ink.colors and paper are sooo cute for any occasion. The tents! So adorable! Let me win this! Very cute – just perfect for nature themes. Oh wow! Such amazing little cutie creations!!!! <3 Thank you for this great chance to win this beautiful set! Love it! I would love to win. Here I thought it was only a fax that could be made but you showcased so many other animals. I love it. I love Stampin Up, foxes and all those other cute critters! What fabulous projects that were made with them! I am impressed! These little critters are simply adorable! How they are used in all the samples shows endless ways to make them part of most any celebration/season!! Once again Stampin’Up works their magic! Would love this set; thanks for the chance! Super cute critters, thanks for the chance! This set is one of the most adorable critter set I have ever seen. The fact that you can buy a punch to go with the stamp set is a great option. Wow – thanks for showcasing some of the ideas that can be done with that set and punch – love it! Oh, this is amazing… what a fun and super cute project… especially love the sweet animal cupcake topper and the tee-pee. SWEET! Fun and cute gift/treat bags. So many different ways to use this cute set. Super cute critters! They’re adorable! I love every project showcased in this post. That set is SO stinking cute! I am sure it is flying out of the warehouse! Good luck to those who hope it flies to their craft room (or desk, or deck, or cottage…)! Thanks so much for the ideas and a chance to win! Such cute little critters! I love the variety of ideas too! Adorable projects! Love that fox and how one was made into a cat! How fun… I’d have to make mine with Siamese coloring! Love this set. The animals are so much fun. I can’t resist a cute critter and this little fox is so adorable! This set would be so fun for Fall projects, and for cards all year round. Love the raccoon and kitty too! I love the variety of this super cute set! Thanks for the chance to win! This cute fox kit couldn’t be cuter! I love all the samples and especially like the little cupcake toppers and gift bag ideas. Thanks for the chance to win these adorable products! The Foxy Friends are, well…. Just Foxy! Luv, luv, LOVE Stampin Up! Thank you for the opportunity to win this fantastic prize! I have been thinking about this stamp set and dies ever since the new catalogue came out. There are cute creatures of all sorts for all occasions and seasons. Just love it. And your samples have given me lots of great ideas. I sure haven’t seen party decorations as cute as Stampin Up has created. The animals are so cute. I have 6 grandkids & they would love them for their birthday decorations, especially on cupcakes. I love the different colours & how they compliment each other. Love that adorable little fox and all the ideas for the collection are so cute. I think I would probably start putting those little critters together and never stop! I hope to win that cute little fox … I want to befriend him!!! I love all these critters and scene items. Thanks for a chance to win it. This foxy friends bundle is just so stinkin’ cute!!! Stampin’ UP! rocks! So very Foxy! Being that I am not so hot after the florals; this giveaway is right up my alley. Or should I say forest? 🙂 Thank you for all the wonderful ideas! I love these precious little critters! It would be heavenly to win! Aren’t these so cute!!! So many things to make. Thanks for the great contest. Oh my…..how cute! Would love to win. Every time I see samples from this adorable new Stampin’ Up! stamp set Foxy Friends, I KNOW I must have it!! Jessica, you have truly outdone yourself!! Those little tents with the skunk and the glassine bags and clear tiny treat bags are super sweet!! Fingers crossed I’ll win. Thanks for the opportunity S&CT!! Love that fox and that cute little kitty cat. I also think those tipis are just adorable. I have a little grandson who would love all this. Thanks for the chance to win it. I love be the fox, but I also love all the different critters you can make as well. This is such a versatile set – thanks for sharing all these ideas! This set is so stink’n CUTE! So much fun to be had here….what does a fox say? The fox says you need this stampin’ up set. These are adorable! Thank you so much for the chance to win these goodies! Beautiful cards!! Thanks for the chance to win. I adore everything Jessica made. Overload on cuteness. My last name is Ker-Fox so can you imagine how badly I want to win this giveaway to be creative with all the little foxes and forest animals! My grandchildren foxes will have fun with this set for years to come. Please pick me!! SUPER CUTE PROJECTS!! Just adore the teepees! What a great idea! Thanks for sharing! So cute! My grand children will love making these and receiving them. This a cute set, would make fun cards. What did the fox say? How absolutely and adorably creative these projects are fun. There have been so many cool projects with this set – I would love to win it! I have the catalogue and love leafing through it. So many beautiful thins and so much inspiration. I agree-the little fox stamps and punch are among the best. I have a dear friend who loves foxes-I could make her a darling little shadow box. I adore these critters!!! I would love to win them!! Thank you for the opportunity to win. omgosh! I LOVE LOVE LOVE the little tents to go with the adorable critters! thankU4sharing! keep up the good work Jessica! I am delighted with this bundle.So much fun and variety be had. I love all the projects that you made with the foxy friends stamp set and the fox builder punch. What a lovely giveaway. It is so easy to imagine all the crafts that I could make with these items, especially for a birthday party. Thank you. I am so in love with the foxes and Raccoon! Adorable suggestions on ways to use this collection. . . I believe I need it! 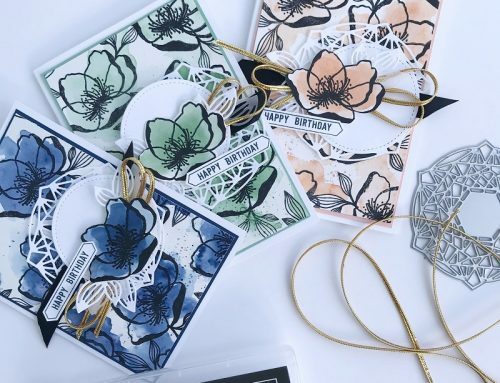 Love this new Stampin Up set and the fun projects you featured. Would love too win! OMG – I have been seeing the little fox in various projects on Pinterest and thinking how adorable he is – I did not realise that it was an entire forest of furry friends! Adorable and I would love to have them! absolutely love these forest animals.. they’d be perfect for my youngest (her room theme is nature) 🙂 thanks for sharing all of the awesome inspiration. and thanks for the chance to win! Jessica, I can see why you were so excited about this set. The critters are all so cute. Love your projects, especially those cute tipis. Thanks so much for showing us the versatility of this great set! These are so cute. I recently hosted a Stampin’ Up party, and two guests ordered these sets. One is a cat lover, and saw all the potential for her stamping needs, and the other teaches Early Childhood Education and saw lots of opportunities to create different animals – it’s such a versatile set! How cute! Really like this set…and the sample projects are adorable! Love that set can be used so many ways! Love these foxes. Such adorable ideas. What an adorable set! Love!!! Love the stinkin’ cute ideas, too! What does the fox say? Have fun, make me lots of foxy friends. Love this set. What does the fox say? “This is so cute and I would love to have the whole package”. Thank you for the opportunity and thank you to stampin up for putting together such a great product combination! I love stampin up anything. Thanks for another great prize! Yes, those foxy foxes are sure cute and should be a great seller in the upcoming season!!! Thanks for the showcase share! I love these! This kit would match my classroom theme for this year!! Oh my goodness I just saw the cute card posted a few days ago with the fox and the balloon and thought I would have to look into it in more detail this weekend when Im off and voila here it is again with a give away ! I love stampin up and this foxy punch looks like it will have many many uses like my owl punch, Thanks SCT/Stampin Up for the opportunity to win this. That little fox is so cute. Thanks for a chance to win! My last name is Fox, so would be able to put this adorable pack to good use! I can’t wait to make this little fox my own! I love the projects you have made-that I will copy! Please choose me! I can think of so many occasions this stamp set would make lovely cards for! Please, pick me to win! This fox friends bundle is so adorable. I especially love the punch and stamp pairing. Lots of versatility. Could be used on dozens of projects! Thanks for the opportunity to win these great products! Oh my gosh I love this little fox set. He is such a cutie! Love these little critters, so many things you could create with them! I so love these cute set! I would love to win his adorable set! What a fun prize for this month – that fox and all his critter friends is ABSOLUTELY ADORABLE!!! Love what ya’ll do for all of us paper-crafters!! Thanks for the opportunity to win this set. Cute little critters!! Very neat critters – they would be great for cards. I’ve been in love with this set since the catalog released. This is the greatest collection of ideas to use it on. I love the mini tents and can’t wait to try them. Such cuteness ! Adore this bundle . My grands would get such a kick out of these projects and we could have a just because party. Silly question but, where did you find the wooden toothpicks so they weren’t pointy on the end? Are you able to put treats inside the teepee? Your projects are beyond adorable! What are you using to punch out the antlers on the reindeer?